TGIF ya'll! Time for another fave five! This time it's a vintage edition! 5.) Spring is the perfect weather for cropped pants, and these vintage style capris (left, right) are calling my name. I love black because they go with anything and they add to the authentic feel. Navy, red, or a cute pattern would be adorable too! 4.) 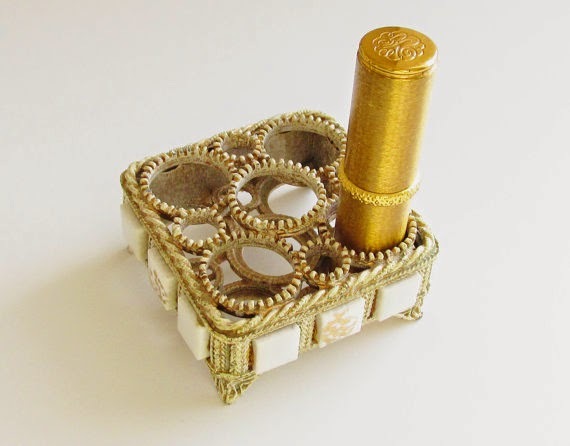 I love this vintage lipstick holder! It would look so cute on a vanity tray displaying pretty lippies and perfume bottles! 3.) This vintage McCoy strawberry cookie jar is one of my favorite vintage pieces in my ever growing collection! It's adorably kitsch and looks so cute on my countertop. I found it at a thrift shop several years ago and am so thrilled to know it's authentic and it dates from 1955-1957. Am I only the one who loves to know the history behind vintage and antique pieces? I should join the American Pickers (I wish!!)! 2.) I love how carefree these girls look! 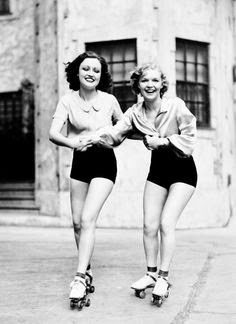 I wish we could still go out rollerskating today without being deemed "lame" or "weird". 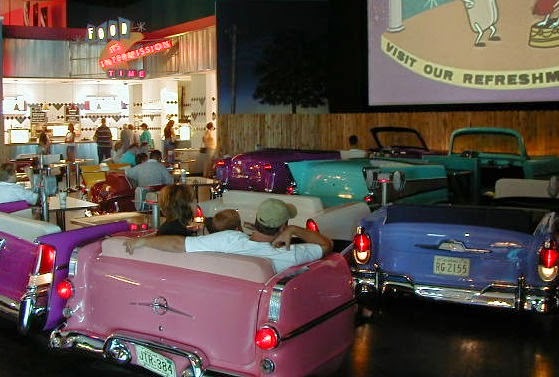 I would love to go back to days of soda shops, jitterbug dancing, drive-ins and just plain, old-fashioned goodness. I think I was born in the wrong era! 1.) Here in St Louis, we have the most adorable theatre called Ronnie's. It's not your run of the mill cinema, though. 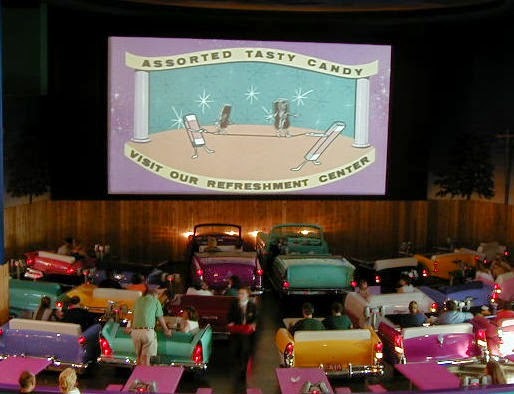 Inside, you can sit in your boring normal seats with popcorn and soda just like any other day, or you can hit up the indoor "drive in" and watch your film from the backseat of a vintage car! Seriously! It's so cute, and the concessions area looks like a 50's diner! Are you vintage obsessed like I am? What are your favorites this Friday? That strawberry is too cute! And I didn't even realize there was such a thing as a lipstick holder (rather than those acrylic trays). LOVE LOVE LOVE!!! I always said I was born in the wrong decade. I was definitely meant for the 50s. Love that strawberry! Hope you're having a wonderful weekend!